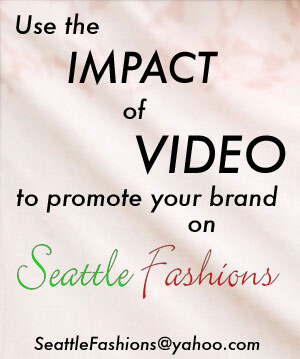 Seattle's online video fashion magazine reporting on local independent designers, boutiques, and fashion shows. Seattle Fashions is proud to introduce an outstanding new fashion designer from Seattle's New York Fashion Academy: Kathy Sabin-Mensah. Shown here is exclusive footage of dresses from her Fall 2011 "Kreati-ka" line. You can see more at Kreati-ka.com or contact Kathy at info@kreati-ka.com. [postlink]http://www.seattlefashions.com/2011/03/ruby-room.html[/postlink]http://www.youtube.com/watch?v=I4h6ED27OCQendofvid[starttext]The Ruby Room organization held its annual fundraising fashion show at the Paramount Theater in Seattle. They offer gowns and accessories for prom to girls from low income families who otherwise would not be able to attend. [postlink]http://www.seattlefashions.com/2011/03/zebra-club-presents-perfectdry.html[/postlink]http://www.youtube.com/watch?v=rklj7P-t_-Mendofvid[starttext]Seattle-based Zebra Club helped pioneer a revolutionary new product called PerfectDry which is a waterproof and stain resistant natural fabric. Watch a demonstration as we talk to their Director of Communications, Julia Rice. [postlink]http://www.seattlefashions.com/2010/11/ann-taylor.html[/postlink]http://www.youtube.com/watch?v=v5NeNHGZ1UYendofvid[starttext]Ann Taylor recently opened a new space at Bellevue Square incorporating their new store concept - the first of its kind on the West Coast. While at their grand opening event, I spoke with their PR Director, Andrew Taylor. [postlink]http://www.seattlefashions.com/2010/09/bellevue-fashion-week-2010-freestyle.html[/postlink]http://www.youtube.com/watch?v=W_FjsTOuJz0endofvid[starttext]Zebraclub and 7 Salon presented their "Freestyle Theory" outfits and hair styles at Bellevue Fashion Week 2010. SeattleFashions was there to capture all the highlights. [postlink]http://www.seattlefashions.com/2010/08/pala-pala-dresses.html[/postlink]http://www.youtube.com/watch?v=rN2vzCXoF9Aendofvid[starttext]Pala Pala is a relatively new boutique in Seattle, offering a wide selection of dresses (plus the customary accessories). One of their sales associates talked to SeattleFashions about the store. [postlink]http://www.seattlefashions.com/2010/08/2nd-annual-sip-n-shop.html[/postlink]http://www.youtube.com/watch?v=4zQa8_x1WEoendofvid[starttext]Seattle's 2nd annual Sip 'n Shop event included a fashion show featuring designs by Carlisia Minnis of MAC Fashion House.